If you are comfortable with basic open chords and can pick and strum through songs with a steady beat, the group intermediate guitar class is for you. In this class, you will begin to explore the upper neck of the guitar through barre chords and other moveable chord shapes. You’ll develop more complex rhythm skills and gain more control over your strumming/picking hand. This class also includes learning to pick out melodies and even improvise while continuing to play and sing together in a fun and encouraging group setting. 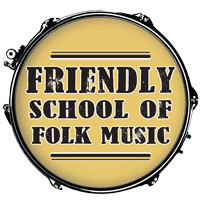 This is the third class in Friendly’s guitar course and can be repeated until you are ready to join an ensemble.